With 8 used car dealerships around Phoenix, Mesa, and Tucson, you’ll be hard-pressed to find a better selection of used trucks than what Cactus Jack’s Automotive Group is offering. Check out our vast selection used trucks, and then contact our staff to set-up some test-drives. Unbeatable bottom-line prices are the start of a stress-free purchasing experience – thanks to our Buy Here Pay Here Financing terms, $500 down vehicles are available even for drivers with poor credit, bad credit, or no credit at all. There are even weekly specials to offer further opportunities to save. 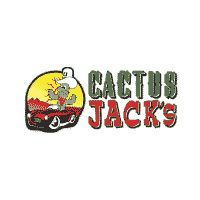 With trucks, cars, and SUVs available, it simply makes sense to make Cactus Jacks your first thought when a $500 down vehicle in Phoenix is what you’re hunting. To find out more, why not contact us directly or visit one of our lots? While your here, check out our overview of the best used sports cars.